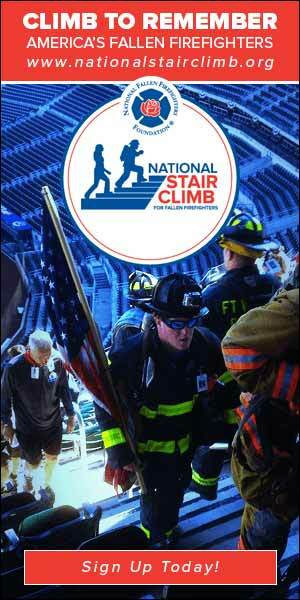 Join us: 9/11 Stair Climbs, coming to Citi Field on October 29th. NEW YORK -- Your support of the 9/11 Memorial Stair Climb events provides assistance to the surviving families and co-workers of the 343 firefighters who made the ultimate sacrifice on September 11, 2001. Each participant pays tribute to a FDNY firefighter by climbing or walking the equivalent of the 110 stories of the World Trade Center. Your individual tribute not only remembers the sacrifice of an FDNY brother, but symbolically completes their heroic journey to save others. Through firefighter and community participation we can ensure that each of the 343 firefighters is honored and that the world knows that we will never forget. The proceeds of these events help the National Fallen Firefighters Foundation create and maintain programs that support fire service survivors. You can donate, register as an individual, or join or form a group. They're climbing for these fallen heroes. Are you? The National Climb for Fallen Firefighters honors all fallen firefighters.